A few days ago I returned from a trip I had been planning and looking forward to for months. It was…fantastic. Lovely. Wonderful. And all sorts of other positive adjectives. 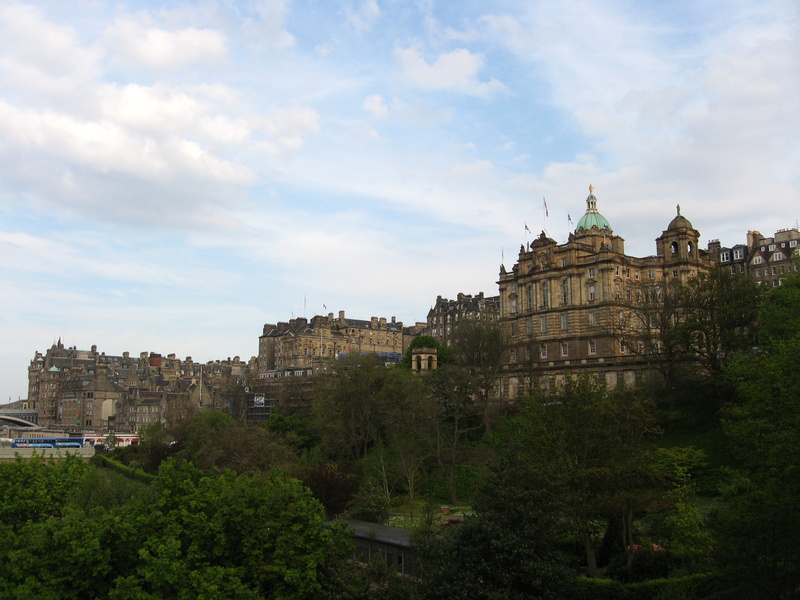 I arrived in London and spent several days there, went to Oxford for a day, and ended with a few days in Edinburgh. I enjoyed myself immensely; it was amazing to see places with such history, buildings and landscapes with such beauty, to get just a glimpse of what life is like for people who live in a setting so different than mine. Cliche as it is, it was “an experience I’ll never forget.” I’ve already begun to share stories with my family and friends here, but I’m sure new ones will pop up and old ones will resurface for years to come. Yet there was so much more to my trip than the buildings and sites I saw, the people I met and the pictures I took. All of those things were pieces, but they alone do not make up the whole. Because, as I am apt to do, while in the midst of my sightseeing and photo capturing, I was also learning. As a college graduate, I suppose that’s what I’m supposed to do: continue to observe and learn for the rest of my life. So many times I have written about the way I struggle with change and uncertainty, how I like to have things planned out and find it frustrating to not know what’s ahead. This is still, at its core, true of me. But I think I’ve spent too much time telling myself that this is the way I am, allowing myself to buy into the idea that spontaneity and I cannot be friends, and that changes, even small ones, must be difficult. Largely due to these things, I approached my trip with a bit of trepidation, not exactly sure how I would handle things. When flying, I had no control over where the plane was going, or, as I experienced on my journey home, no control of when the plane would take off, which flights would be cancelled, and even, to an extent, how I would eventually get home. Much of the time throughout my trip I didn’t know what I would be having for my next meal, and it didn’t even bother me. There were shops, I had money; it would work out. I had a list of a few things I for sure wanted to see and do, most of which I got to, but other than that, I was fine with wandering around the city, seeing what would strike my (or my friend and traveling buddy’s) fancy. We stayed in a hostel in London and at my friend’s flat in Edinburgh. Hostels aren’t exactly the most glamorous of accommodations, but it worked out (mostly) fine. Everything didn’t always go well. At one point I threw up at the South Kensington Tube station (which is actually quite a funny story). I didn’t get to check every single thing off my to-do list. My trip home took nearly 3 times as long as it should have. Yet, I survived, and when someone asks me how my trip was, I can wholeheartedly say, “It was fantastic.” Even though I was on a continent I had never seen before, I had no control over many situations, and had no hint of a plan, it all worked out. And it was wonderful.